Our new April set menu is here! The April set menu is here and we have something for everyone this month so we are the ideal place to come and grab a bite to eat if you are shopping, sight-seeing or just mooching over the Easter break. Back by popular demand is our fabulous Osso Bucco made from slow cooked beef shin and vegetables and served with saffron rice. Try and resist the homemade smoked haddock and Gruyere fishcakes or our steak frites (the BEST Cornish pasture reared beef) plus fries and salad. 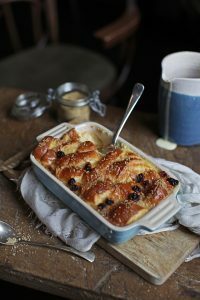 As it’s Easter, desserts start with chocolate crumble, lead you gently into a fruit compote and then challenge you to say ‘no’ with the most delicious bread and butter pudding & creme Anglaise.